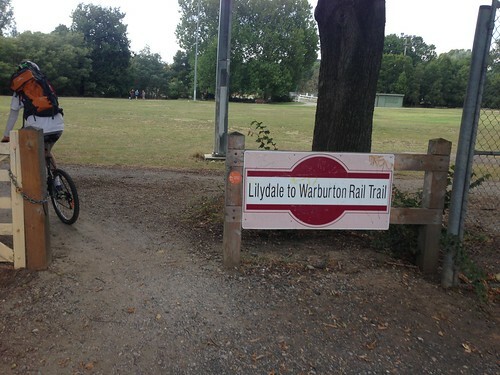 One of Australia’s most popular rail trails, the path from Lilydale to Warburton follows the route of the defunct Warburton railway line through the Yarra Ranges east of Melbourne. Catching the train from Surrey Hills with a friend, we arrived in Lilydale mid-morning. Compared to most of the other rail trails and paths that I have ridden, this one had very good wayfinding at the railway station. There were signs on the platform and near the station entrance directing people to the beginning of the trail (although it did involve cycling through a busy carpark). 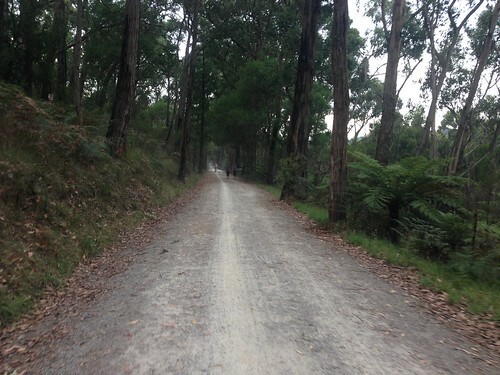 The trail meandered a little past a school and along a sealed path before turning into lilydale topping for the next few kilometres. 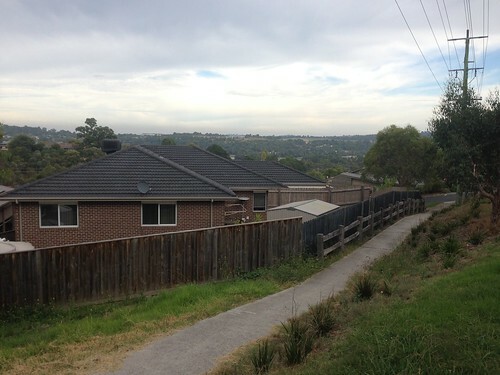 This part is quite high along the climb up to Mount Evelyn and has some great views across Lilydale and Chirnside Park. Due to the essentially rural nature of this area, the trail is also quite commonly used by horses. There were some signs (and lots of horse poo) indicating such usage and some interesting infrastructure. 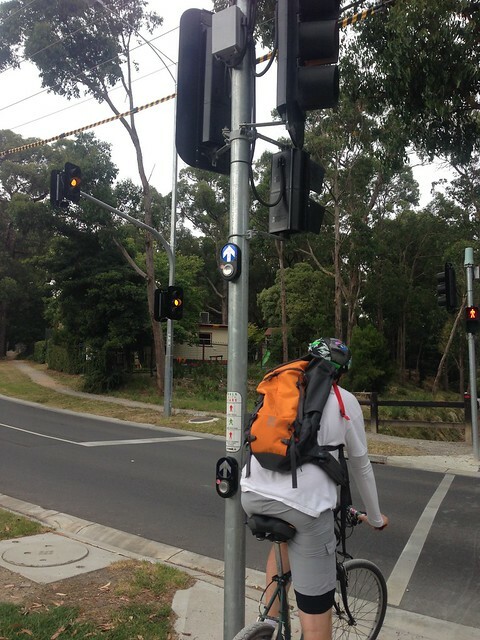 One such example was this elevated beg button at a signalled road crossing specifically designed so that horseriders did not have to dismount to cross the road (either that or Mount Evelyn has some very tall people). After Mount Evelyn, the trail begins its long descent. The path is still unsealed at this point which greatly reduces the speed that a bicycle could safely traverse the area. It is beautiful scenery through this section where shallow cuttings allow the vegetation to come right up to the edges of the path and create a tunnel-like visual effect. Once we had reached the bottom of the hill, the landscape changed to more open fields and farmland. 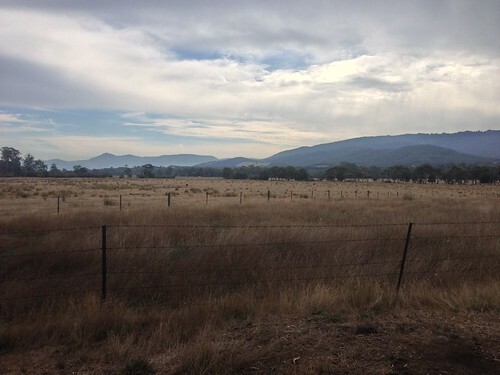 It was very picturesque looking across to the surrounding hills and forests along this section, past Wandin North and Woori Yallock. After another uncontrolled crossing of the Warburton Highway after Launching Place, we had a bit of an accident on the path. Gravel had piled up on the side of the path and caused us both to come off and onto the ground. While there are some advantages to unsealed paths, hazards like this have to be taken into consideration when designing and using bike infrastructure. 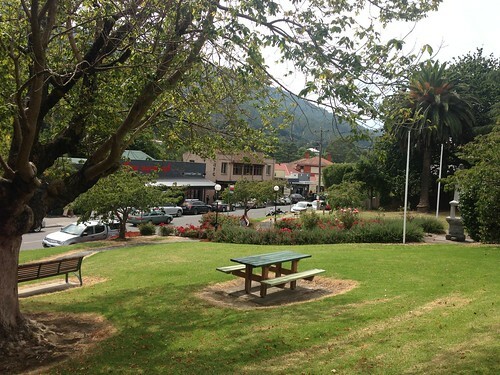 We stopped at Yarra Junction for some bandaids and generally clean ourselves up. The toilet and seating facilities along the trail are generally very good and well spaced. My only gripe in terms of supporting infrastructure was a lack of drinking fountains. There weren’t that many along the entire trail and those that we did find were not obvious or signed. Something to improve on for the future of the trail. After another five kilometres or so of riding, we came to the beginning of the last section of the trail – which was sealed! 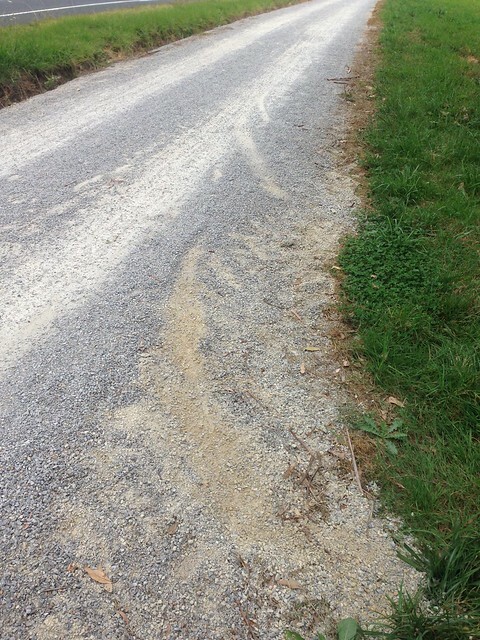 After riding 30 kilometres along gravel and dirt the smooth asphalt felt like being on air. This took us around the side of the valley into Warburton itself and the end of the path. Technically it goes a little bit further east to La La but the rail trail proper officially ends here. The trip back was much the same (other than an absence of any injuries). We stopped a few more times and found more of the closed infrastructure that supported this railway. Many of the old station platforms and buildings have been repurposed. 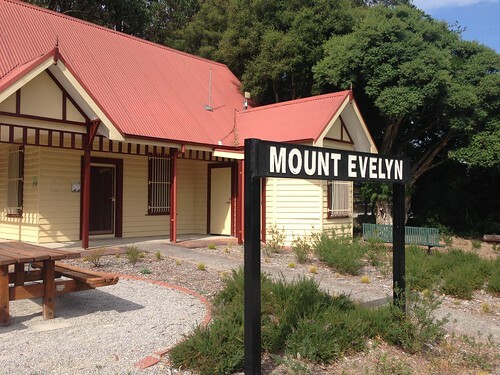 One of these is in Mount Evelyn where the old station building has been converted into a community house and restored to its former glory. 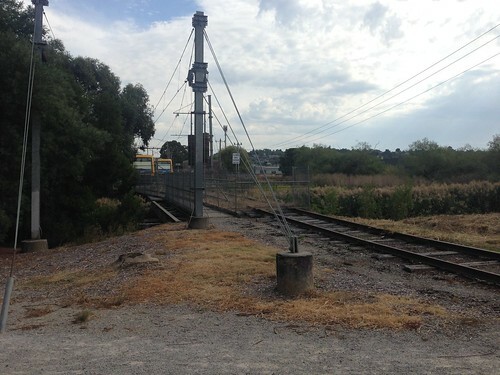 Arriving back at Lilydale Station, the old track leading to Healesville/Warburton is still visible just beyond the fence of the current Metro stabling yards. A couple of old signal posts and signs also remain near the bus depot. With all of its advantages, it is obvious why this is such a popular route. It is well-signed, well-maintained (largely thanks to the hard work of the Friends of Lilydale to Warburton Rail Trail) and very scenic. Its grades are also not very steep and friendly for people of all cycling strengths and abilities. If you are planning to ride the trail, my advice would be to take a bike that is more suitable for off-road riding. Most of the path is unsealed and riding with thin tyres (like I did) makes the journey more difficult than it needs to be.